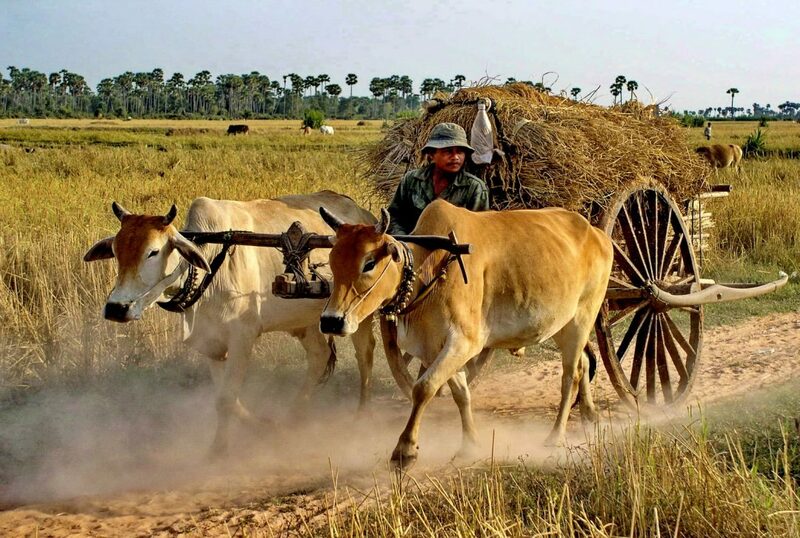 Presenting our Cambodia tour – Cambodia Overland – a road and river adventure through this fascinating, yet little-known country. 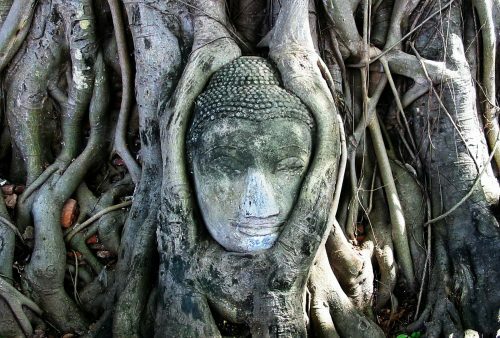 In keeping with all our Southeast Asia tours, this exciting journey will combine the best-known sites – including of course the fabulous ruined cities and temples of Angkor – with some of the lesser-known, more off the beaten track ones. 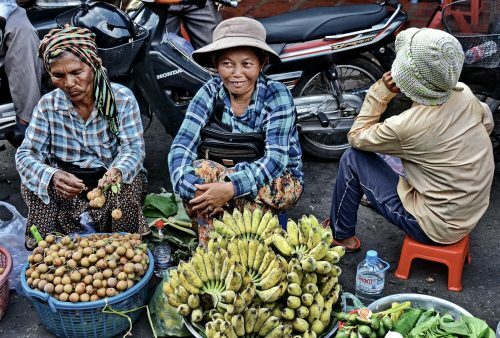 From the hectic, yet charming, riverside capital Phnom Penh, travel we’ll overland through picturesque landscapes to the mysterious, dramatic, jungle-clad temples of Angkor, before crossing the scenic Tonle Sap Lake and travelling upriver by boat to Battambang. 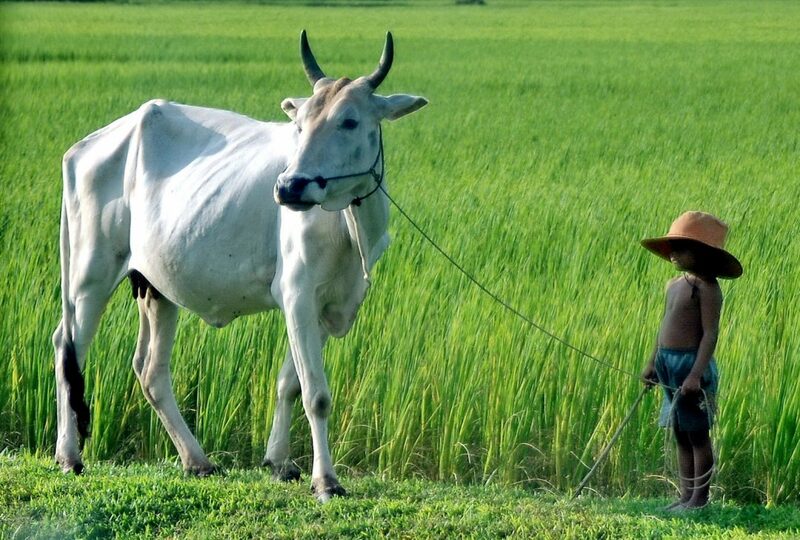 We’ll explore the traditional village life and cottages industries in the tranquil surrounding countryside by bicycle or tuk-tuk before completing our loop to Phnom Penh. 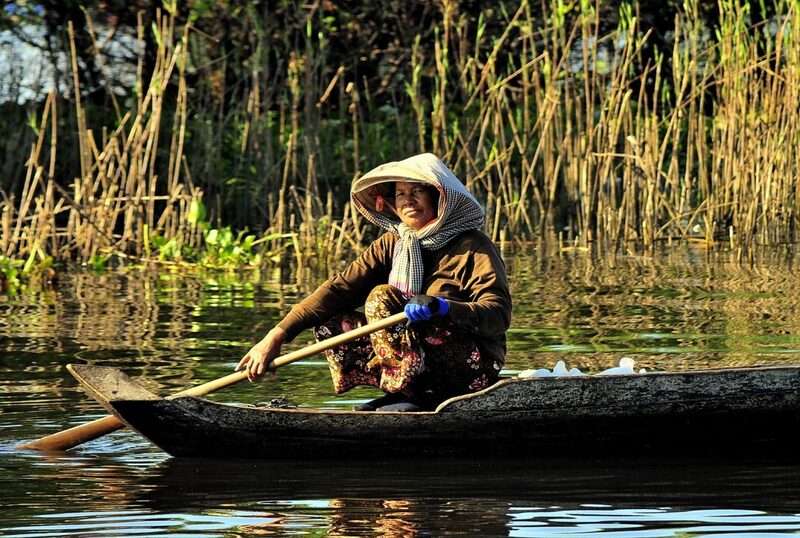 A fascinating, varied and unforgettable 10-day Cambodia tour! Here's an idea of what you can expect to do and see day-to-day. Arrival and check-in to a small, comfortable, downtown hotel Time to relax before an introductory city walking tour, taking in the old French Quarter & lively waterfront area, as well as giving you a first-hand feel for the bustling street-life. Finishing perhaps, with sundowners at the celebrated Foreign Correspondents Club (FCC)? 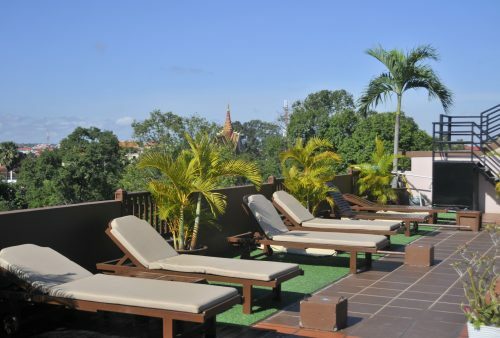 Extra nights in Phnom Penh, prior to your tour, available on request. 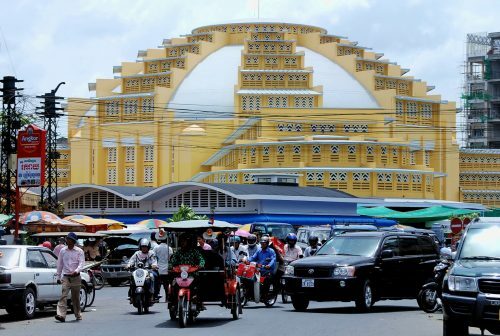 Tour of some of the sites of Cambodia’s fascinating capital city. The infamous Killing Fields and highly moving Khmer Rouge Genocide Museum help explain the country’s recent tragic history, while the picturesque Royal Palace and Silver Pagoda will provide plenty of photo opportunities. The Russian Market offers some ‘retail therapy’ & a chance for a local style lunch. 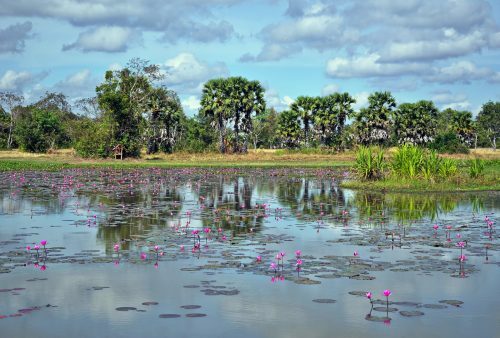 Travel through Cambodia’s scenic countryside to the provincial town of Siem Reap in Western Cambodia, our base for the next few days as we explore nearby Angkor. Stops include the famous ‘spider village’ of Skuon, (tasting not compulsory), a rarely visited 11th-century temple and lunch by a scenic lake. An atmospheric dusk visit to Banteay Kdei completes our day. 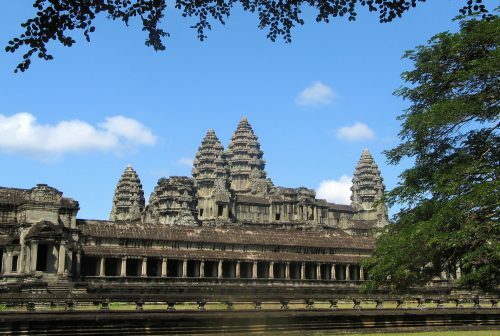 An unforgettable tour of this fabulous site with its vast jungle-clad temples and mysterious stone carvings. Dawn at Angkor Wat, followed by a morning visit to the temple itself. 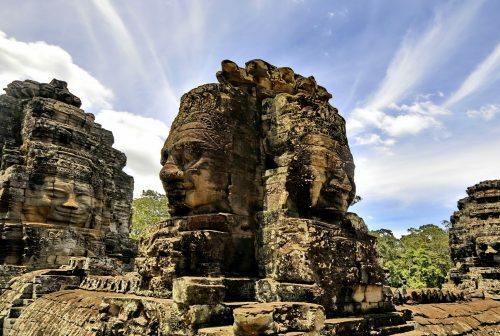 Return to Siem Reap to escape the midday heat before an afternoon walking tour of Angkor Tom including, Leper King and Elephant Terraces, Phimeanakas, Baphuon and last but not least, (we’ll wait until the crowds have gone), Bayon Temple and its famous faces. Morning forest hike to visit the spectacular Phnom Bakheng Temple and the huge jungle-clad ruin of Preah Khan. 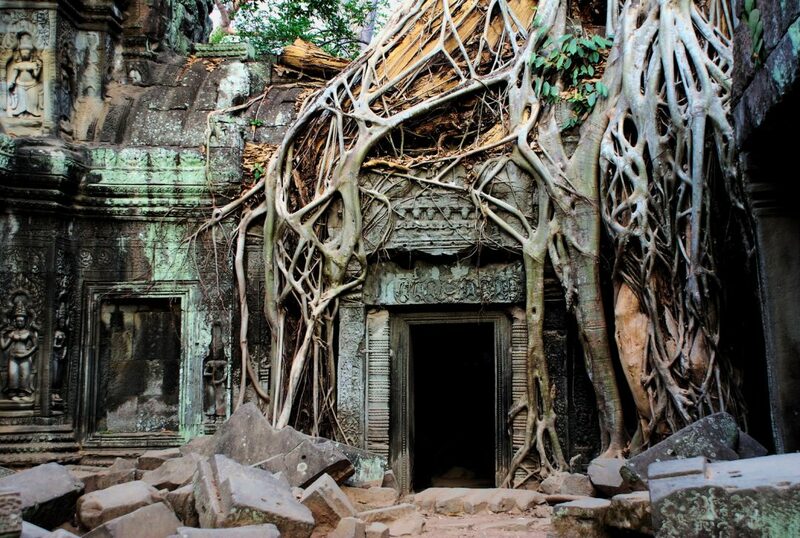 Enormous roots and screeching parakeets make this atmospheric temple one of everyone’s favourites. After a midday break, we continue with a short walk to Ta Keo via the remote and rarely visited Ta Nei Temple. 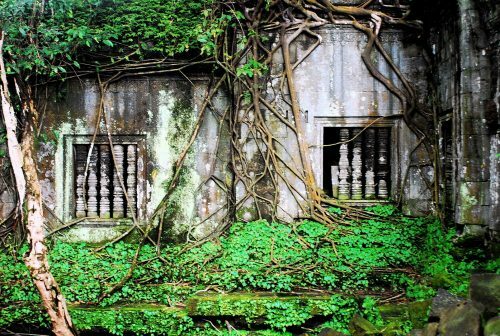 Ta Prom – the famous ‘Tomb Raider’ Temple – maintains our jungle theme & concludes the day’s visit. Morning trip to one of the more remote yet most impressive Angkor temple sites – the truly spectacular Beng Melea – a huge, crumbling, creeper-covered temple complex, lying to the west of Siem Reap. 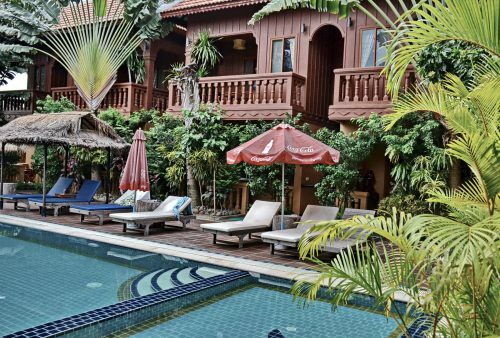 Return to our hotel by way of an optional visit to the unusual Apopo, rat de-mining centre with an afternoon at leisure to relax by the pool, perhaps visit the National Museum or even take an optional Khmer cookery lesson? 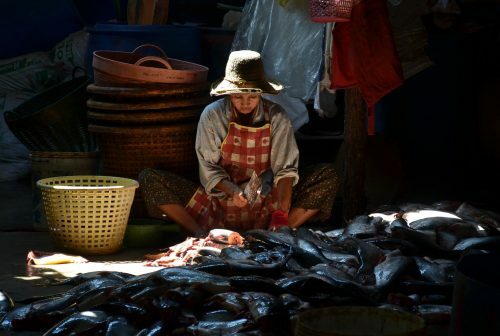 Spectacular boat journey across the Tonle Sap Lake, past the flooded forest and Prek Toal Bird Sanctuary and on down the Sangkar River with its unique, floating, fishing villages to the town of Battambang. Stop off on the way to visit the Prek Toal community water hyacinth weaving project. If water levels are too low during the dry season, a part or all of today's trip may be by road. Morning guided tour by local students to one of the surrounding villages to discover some of the traditional cottage industries and local handicrafts. 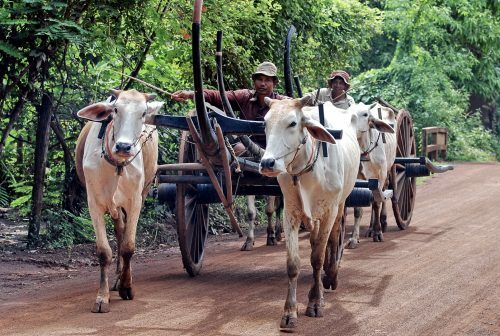 Travel will be by bicycle or tuk-tuk for the less energetic. The afternoon is at leisure to explore the friendly provincial town or perhaps try a ride on the famous ‘bamboo railway’? 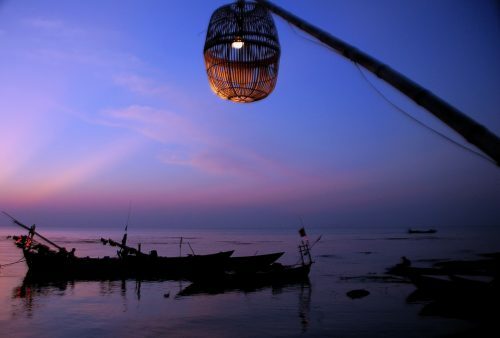 Head east to the fascinating and photogenic port town of Kompong Chhnang on the bank of Tonle Sap River. 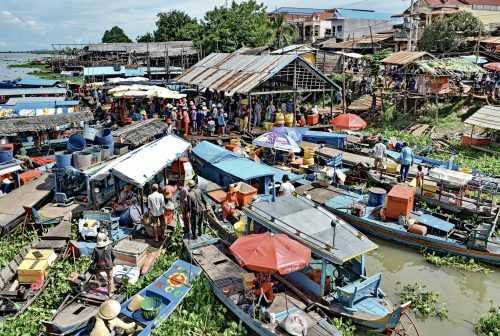 Here we can take in the bustling riverfront area and a very local-style market before continuing to our day’s final destination, Phnom Penh. Morning at leisure, relax by the pool, do some last minute shopping, or check-out a spa treatment. End of tour and departure at your convenience. Airport transfers are included if you purchase the 'with flights' package. If you purchased your own flights, airport transfers can be arranged. The nitty-gritty, the things you need to know, the answers to your burning questions. Travel by boat up the Sangkar River - floating villages, bird-life, unique scenery - 'like being on a National Geographic programme'! *Land departure dates correspond to the FIRST day of the itinerary. 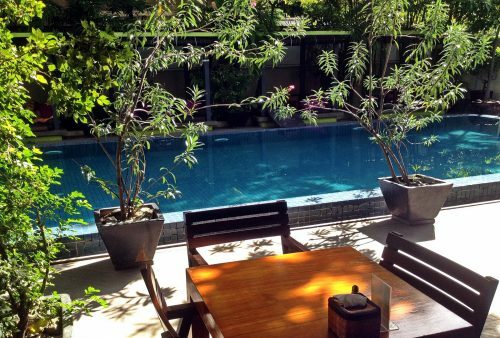 City River is out first choice in Cambodia's Siem Reap. *This list should be considered a guide only, hotels/rooms may change (without notice) depending on availability. 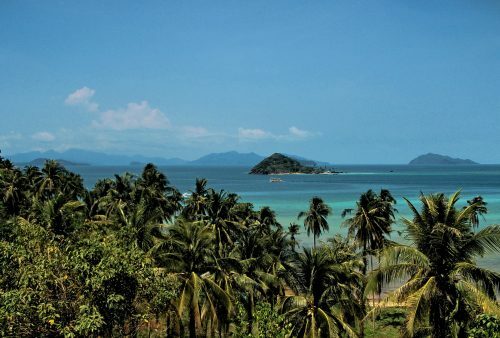 Visas; For most nationalities, a visa on arrival is issued at airports and all land borders used on our tours. Visa fees and conditions are subject to change but are usually $30 payable in cash in US dollars. A passport photo is required. 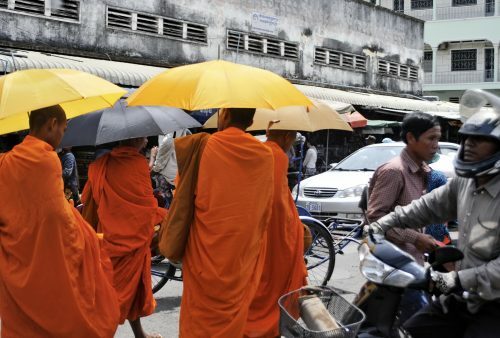 Tourist visas are issued for 30 days from entry into Cambodia. When entering Cambodia make sure you get an entry stamp in your passport and keep your departure card. Your passport should be valid for a minimum period of 6 months from the date of entry into Cambodia. You may be refused entry if your passport is damaged, in poor condition or does not have at least 2 blank pages remaining. Meals: breakfasts are generally hotel buffets with lunch and dinners based on local food. Lunches on the road are typically simpler dishes such as variations on noodles or fried rice while your tour-leader will generally order more elaborate-style dinners consisting of a selection of local fare. 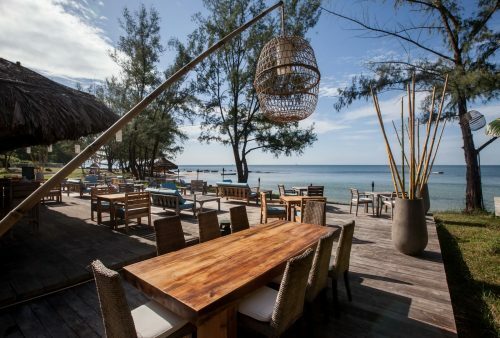 The cuisine shows both Thai and Vietnamese influences though with plenty of unique dishes too. Dishes are only mildly spicy and both vegetarians and vegans are very easily catered for. For any other likes and dislikes please remind your tour-leader at the start of the tour. A number of meals are not included, which allows you to ‘do your own thing’ or take a break if you’re feeling ‘riced out’. Accommodation: all choices fall into the comfortable 3* range and are en-suite and air-conditioned with pools. 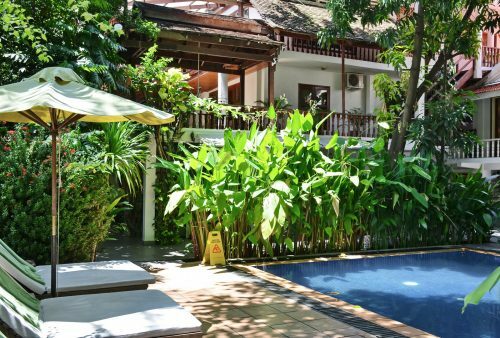 We have posted a selection of sample accommodation on the lefthand hotel tab but please note that as we try and avoid the larger hotels, availability, in high season particularly, means we use several options in each destination. Activities: note that no activities are compulsory and that any offered can be tailored for various fitness levels or alternatives suggested. 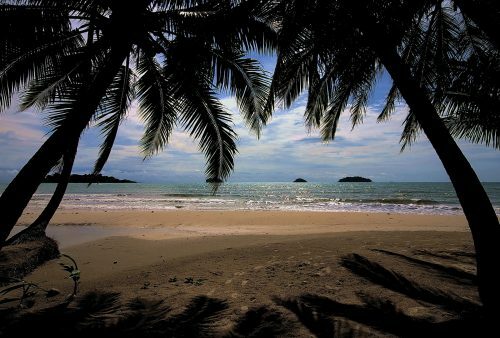 You deserve a holiday ?
" There must be better words in the Oxford English Dictionary; - good, great, fabulous, professional, informative, fun, excellently planned, value for money, experts on local knowledge and customs etc - but they escape me. Travelling with you guys was just an absolute pleasure. And I mean an absolute pleasure from start to finish, so THANK YOU. " " The trip was outstanding and thoroughly appreciated by all of us....All Points East seems to have designed their itinerary very cleverly. The pacing was just right all the way through. We saw and did a lot without feeling rushed...and seemed to see everything at the right time, maximising the relative cool of early mornings and late afternoons and yet avoiding many of the crowds and queues. " " We certainly enjoyed all aspects of the trip. The driving so that we could see some of the countryside, the river trip and the bamboo train. 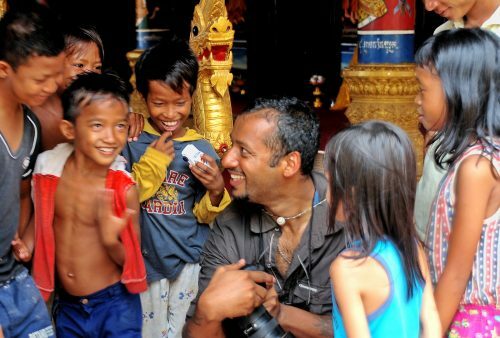 Cambodian people were charming and the temples and history are very impressive and a surprise to us. Tour-leaders and all the guides were very good. All the cities visited were busy and interesting. Our small travel group got on very well and added to the enjoyment. " " Firstly we would like to thank you for all the pre-holiday information and the organisation. We both enjoyed ourselves and the group got on very well. Our tour-leader did very well in showing us the country and sampling the local food, mostly enjoyed. The three hotels were excellent, with very friendly staff. We would definitely recommend the company to our friends and family. " " We had the best holiday ever and could not have wished for a better time. Our excellent guide put in lots of effort to make sure it all ran smoothly and we really appreciated all of the organisation which went on behind the scenes and got so much out of the holiday - it was jam- packed apart from a few mojitos by the pool in the afternoon. He very patiently explained everything to us all the time so we could understand what was going on! and was flexible in helping us to change the plans slightly i.e. 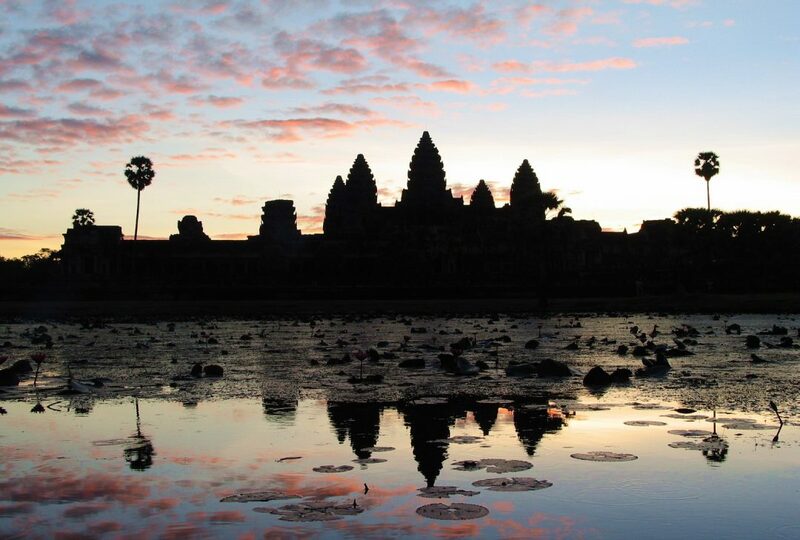 an extra sunrise over Angkor Wat. The group meals so that we could try all types of local food and that was a real high point of the trip. We will definitely be recommending your company to our friends and will have a look at what you offer so we can plan another trip. Thank you very much indeed for such a really brilliant holiday. " " This trip was excellent, we really enjoyed ourselves. 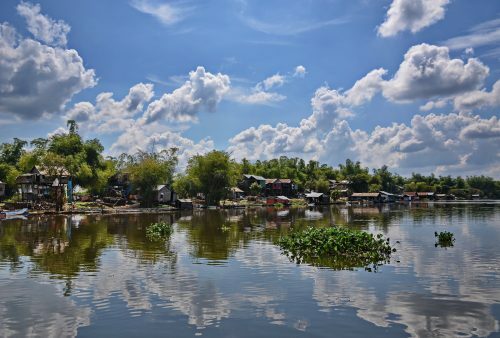 The itinerary was full and well planned to ensure that we saw the most we possibly could in a small amount of time - we got to see a lot of Cambodia, the towns and the countryside, the temples and the floating villages led by friendly and knowledgeable tour guides. All in all, a wonderful experience, and if it wasn’t so far away, I’d go back tomorrow! " Ready to book your tour ?